Monaco is a tiny city state principality situated between France and Italy on the Mediterranean. It is well known as a luxury destination for the rich and famous and of course for the Royal Grimaldi family and the James Bond movie ‘Casino Royale’. One of the most expensive places to live in the world, is it a place to consider living in? Details on these requirements as well as the application form and how to complete the application can be found on the government website. As I currently live in Singapore (already considered a very expensive place to live), I used Expatistan to compare cost of living in Monaco. Expatistan estimates that it is a whopping 35% more expensive to live in Monaco. Food, clothes, entertainment and rent are top of the list in terms of expense. Housing is listed to be 91% more expensive than Singapore which is a real consideration if you plan on moving to this luxury destination! Very close to the perfect climate in my mind, Monaco has a dry, warm climate with about 300 days of sunshine each year. There are four seasons similar to the rest of Europe but the climate in Monaco is much drier and warmer than many European countries. This lends to an outdoor life where one can take full advantage of the activities involving the beautiful Mediterranean and of course the surrounding countryside and mountains of France and Italy. One of Monaco’s most important industry’s is tourism due to its great climate, its famous casino, the Monaco grand prix, rally and other attractions. The currency of Monaco is the Euro even though it is not an official member of the European Union. It enjoys strong trade ties with Italy and France though. 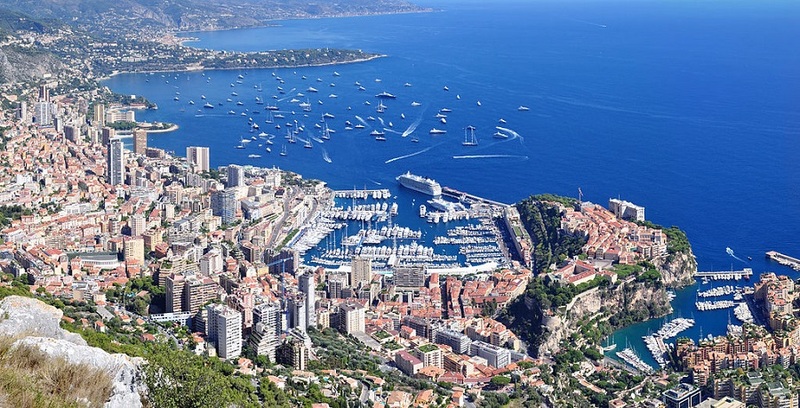 With little or no restrictions on foreign investors many entrepreneurs set up luxury or financial services related businesses in Monaco to supply local clientele and of course the nearby markets of Italy and France. There is no income or company tax in Monaco which is one of the more obvious reasons why the rich and famous have residency there (unless you are French and then you have to pay tax according to French Tax Law). Additionally, there is no capital gains or wealth tax. Companies who earn more than 25% of their revenue outside the principality and businesses who earn revenues from patents and literary/ artistic property rights do have to pay tax at 33.33% on profits.